Budapest became the fifth city to announce its intention to bid on the 2024 Summer Olympics. Budapest joins Boston, Hamburg, Germany, Paris and Rome as cities vying to host the games. Budapest became the fifth city to announce its intention to bid on the 2024 Summer Olympics. The city made its intentions known in a letter to International Olympic Committee president Thomas Bach after the Hungarian government approved the bid by an 81% majority. Budapest joins Boston, Hamburg, Germany, Paris and Rome as cities vying to host the Games. Budapest has never hosted an Olympics, last submitting a bid for the 1960 games. 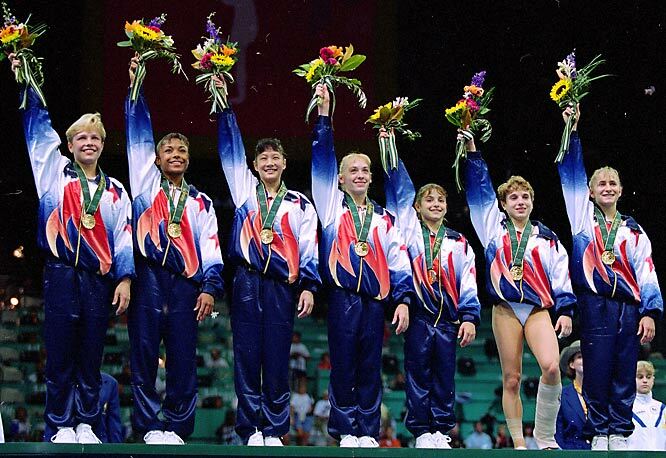 After Kerri Strug landed her final one-legged vault attempt, the Magnificent Seven became the first Americans to win the women's gymnastics team competition at the Olympics. Shannon Miller added gold in the balance beam and Dominique Dawes got bronze in the floor exercise. 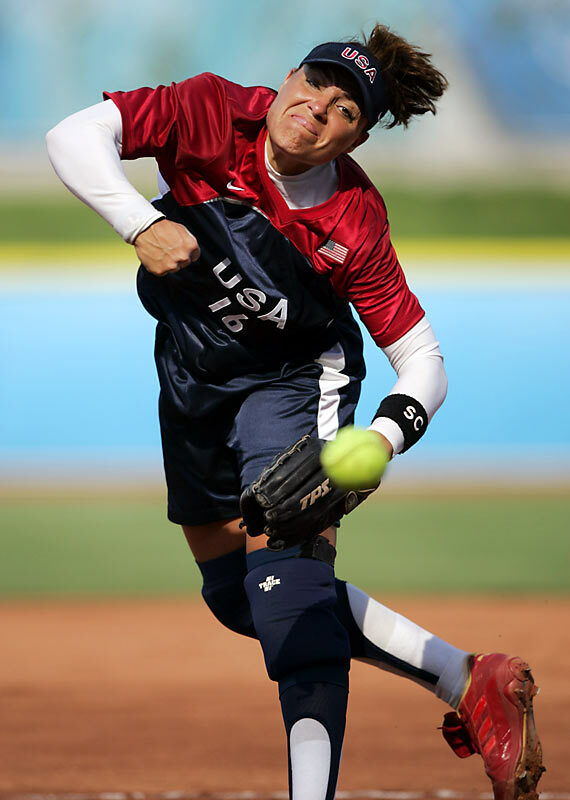 Led by veterans like Lisa Fernandez (pictured) and first-time Olympians like Jennie Finch, the U.S. outscored its opponents 51-1 throughout the tournament, not giving up a run until the championship against Australia. 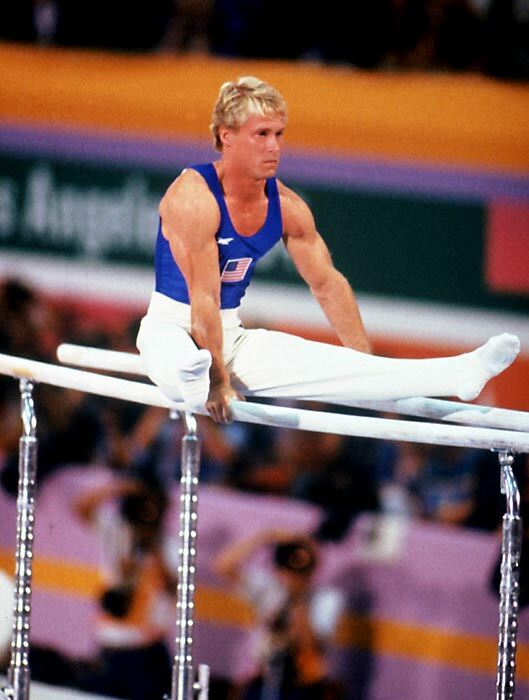 With the Soviet Union sitting out the Los Angeles Games, Bart Conner (pictured) and the rest of the U.S. team shocked the gymnastics world with its surprise win over the Chinese. The team added seven individual medals, including gold in both the parallel bars and pommel horse. 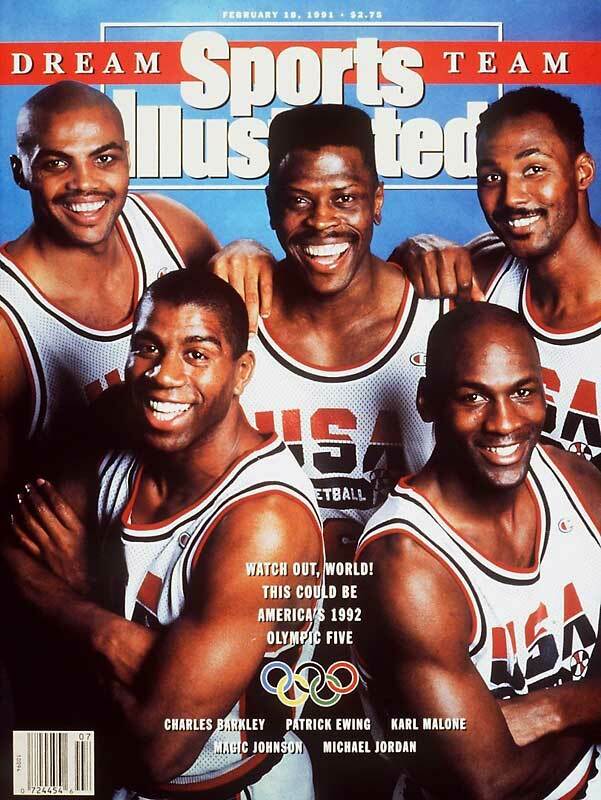 Magic Johnson, Michael Jordan and Larry Bird joined a host of other NBA stars on an Olympic team for the first time in 1992. 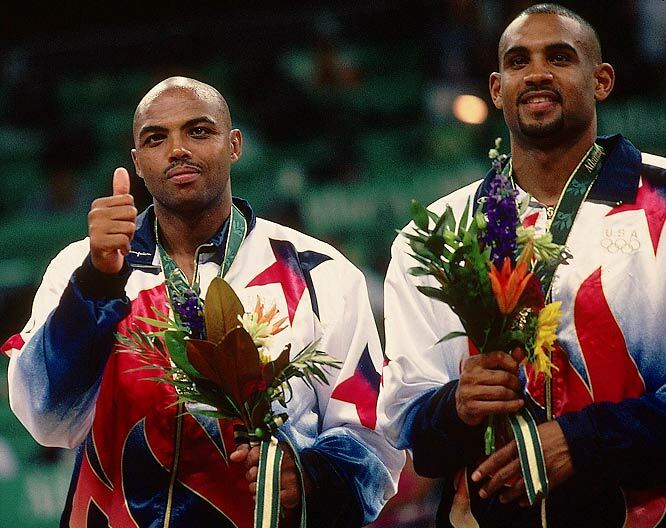 In perhaps the most dominant Olympic performance in any sport, the Dream Team won by an average of 44 points as the world got its first glimpse of the NBA's star players. 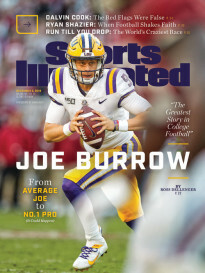 Five members of the original Dream Team returned four years later with the addition of Hakeem Olajuwon, Shaquille O'Neal and others as Lenny Wilkens coached the team to another gold, and a 32-point average margin of victory. With Henry Iba coaching in his third Olympics, the U.S. marched to the gold medal game, improving its Olympic winning streak to 63 games. 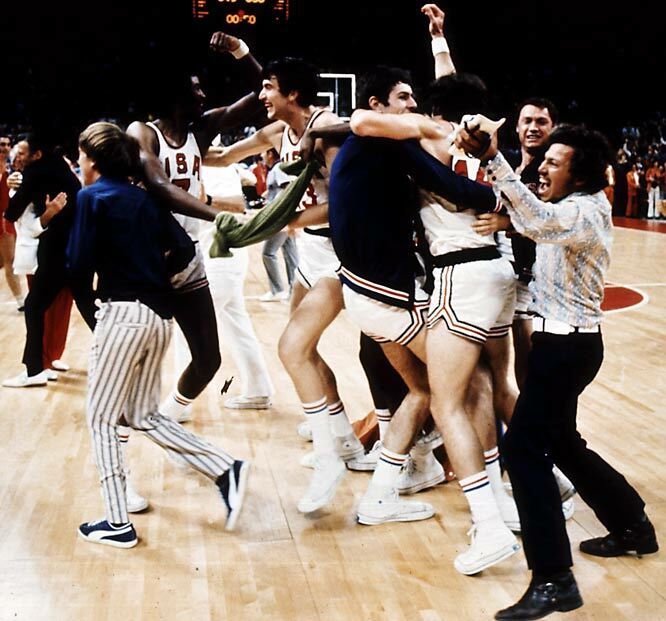 The U.S. finally met a challenge in the Soviet Union, however, and lost its first international game when an infamous and controversial decision gave the Soviets three attempts to inbound the ball with three seconds remaining; they scored the winning basket on the final attempt. 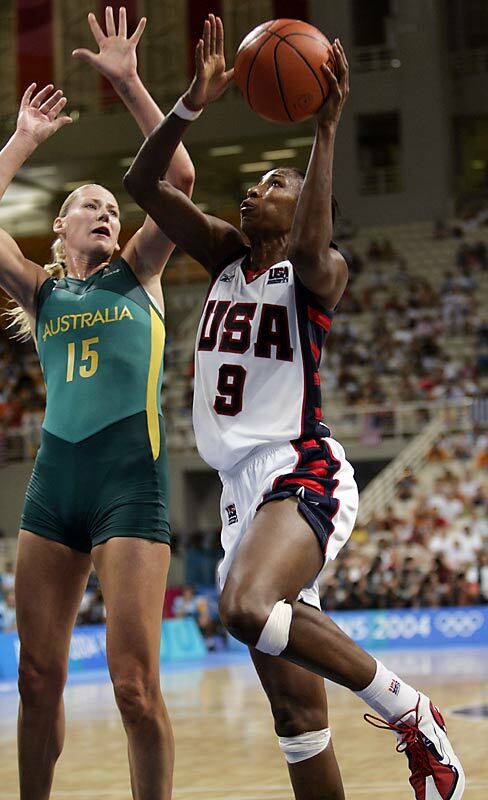 Behind Lisa Leslie's 15.6 points per game, the U.S. won all eight of its games, earning its fifth-straight gold medal with a 74-63 win over Australia. 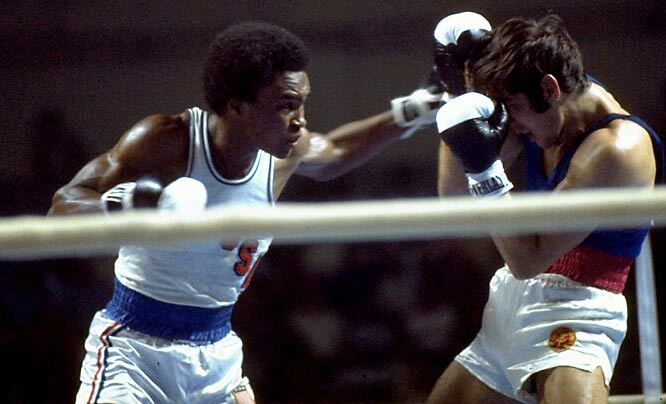 Sugar Ray Leonard and Michael and Leon Spinks led a team that picked up seven medals, including five gold in 1976. Four members on the team would go on to hold professional boxing world titles. After the men's volleyball coach's father-in-law was stabbed and killed, the team made a miraculous gold medal run at the Beijing Games. They tallied an unblemished record of 5-0 and only dropped four sets out of a possible 25 on their way to an emotional gold medal victory. 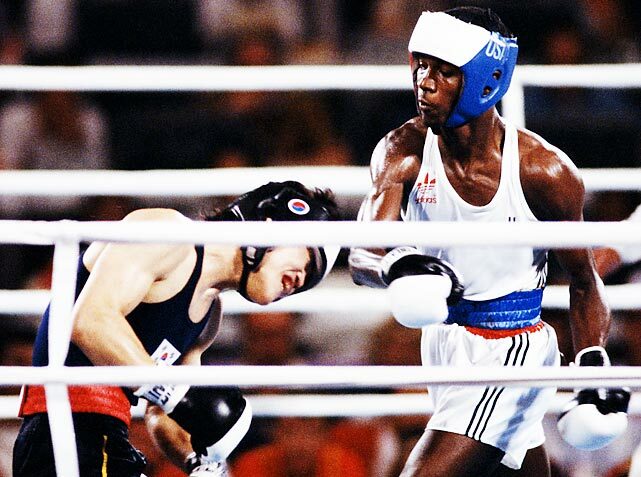 American Olympic boxing had another outstanding team during the 1984 Olympics in Los Angeles. Competition took place across 12 weight classes and the United States medaled in all but one, earning nine gold, one silver, and one bronze. 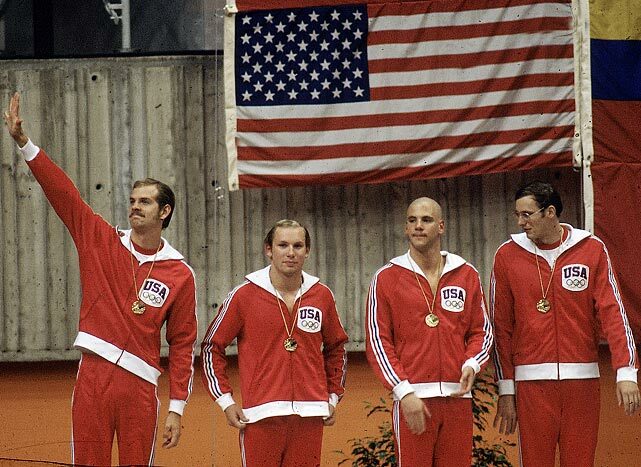 The 1976 men's swimming team put on an unbelievable show for the spectators across the border in Montreal, Canada. Competing in 13 men's swimming events, the U.S took home 12 gold medals, 10 silvers, and 5 bronze. They swept the 200-meter freestyle, 200 backstroke, 100 butterfly and the 200 butterfly. 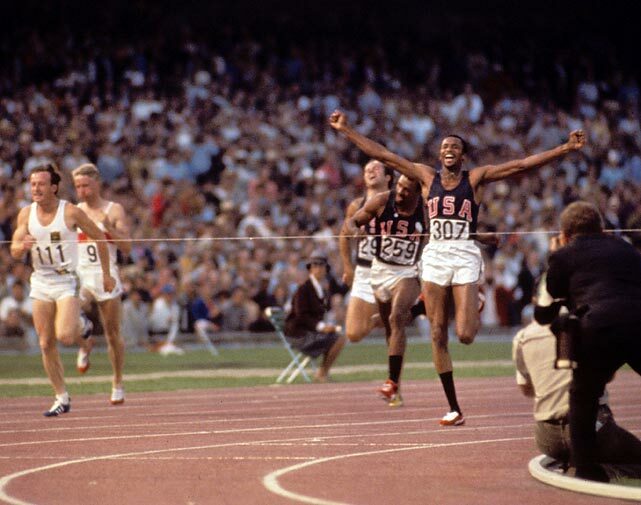 In the 1968 Olympics in Mexico City, the men's track and field team dominated the competition. 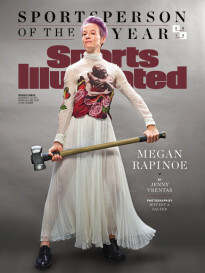 They took gold in the sprint events, swept the 400 meters and won five out of eight field events. Overall they took home 10 individual gold medals, two relay team gold medals, five silver and seven bronze. Other cities that want to join the bidding process must submit applications to the IOC by Sept. 15. Baku (Azerbaijan), Istanbul (Turkey) and Doha (Qatar) have previously expressed interest in hosting the games. A final decision will be made by the IOC during a congress in Lima, Peru, on Sept. 15, 2017. Budapest mayor Istvan Tarlos and Hungarian Olympic Committee head Zsolt Borkai said in the letter that Hungary is one of the most successful countries to have never hosted the Olympics. According to a recent study, hosting the Olympics could generate $4.1 billion in revenues for Budapest.